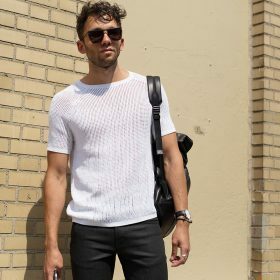 You probably have enough t-shirts in your closet which is why you’re searching for something a little different, like men’s tops. Well in all honesty, men’s tops are not all that different to the range of t-shirts but they usually come in more stylish varieties. Men’s tops tend to have more exciting prints, interesting use of materials and can sometimes be somewhere in between a tee or a sweater. My advice would be to browse through the category to see what we really mean.